Can natural gas plants help spur solar growth? 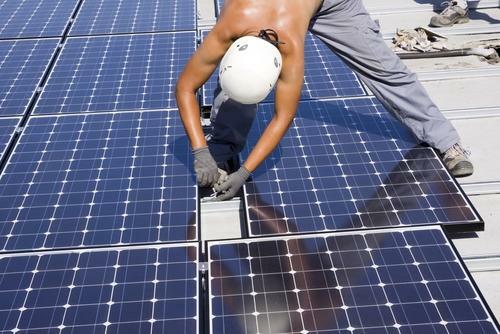 | West Coast Solar, Inc.
Can natural gas plants help spur solar growth? A new report by the North American Electric Reliability Corp (NERC) and the California Independent System Operator (ISO) predicts that wind and solar power generation in California will double by 2020. This is exciting news for anyone who follows the solar energy solutions industry. But buried in the NERC’s recommendations is a surprising argument for the importance of natural gas resources to the further expansion of renewable energy. Indeed, this may seem like a contradiction. Solar and wind power are often seen in opposition to natural gas, rather than as coexisting sources. But NERC believes that the stability of natural gas generation can help foster more development of renewables that provide clean, but inconsistent, energy production to the grid. Although natural gas is still a fossil fuel that produces climate changing gases, it has a smaller footprint than coal power. By using it to supplement solar generation, regulators believe it can play an important role in moving the state closer to its goal of 33 percent renewable electricity generation by 2020. One of the other keys to solar growth will be to educate the public on the potential cost savings of installing a rooftop solar panel system. If you’re interested in learning how these arrays can make your home cleaner and lower your monthly utility bill, contact West Coast Solar today.